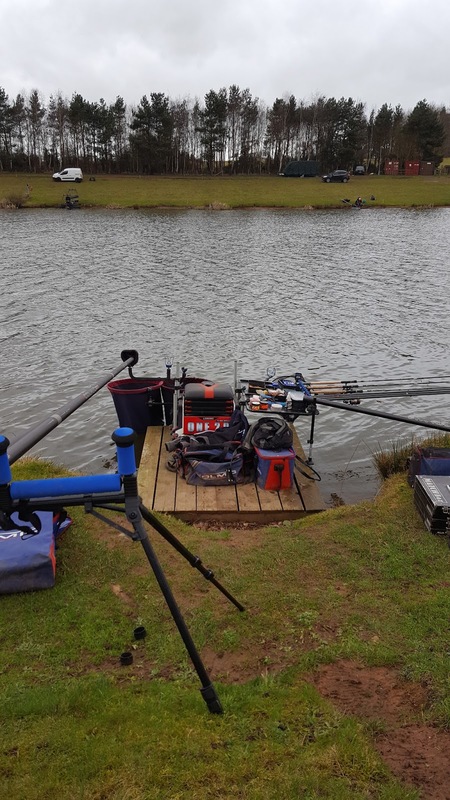 Drew peg on the match lake and was told I was to far up! Decided to fish mainly rods as the wind was howling! However I did set up 1 rig just incase. Kicked off on the bomb and bread had 2 fish in the net after 15 minutes. An f1 and a 7lb carp, which was a great start! However... for the next 3 hours I didnt have a single bite or liner! Had a quick look on the pole but presentation was all over the shop due to the really strong winds. Decided the rest of the match was best spent sat on the method feeder just my side of half way. I then had 3 in as many chucks in the last 40 minutes but was to little to late. 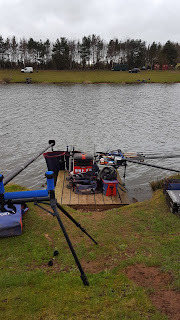 My 5 fish went 24lb which was no good. Weights down my end were terrible, you needed to be further up towards the island. Well done Gary Donachie on the win!